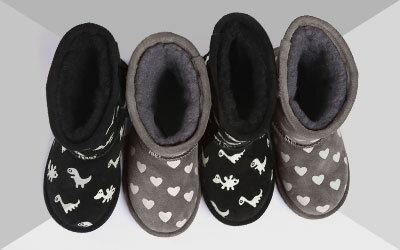 The EMU Australia Ore is a versatile women’s sheepskin boot that can fold down to expose the soft, lush lining. Made from the finest Australian sheepskin, and built on a cushioning and sturdy sole unit, these boots will keep you warm and comfortable all day long. The Ore is a women’s double face sheepskin ankle boot featuring a metal snap that allows the boot to be rolled down for 2 different looks. Worn up, the boot features exposed sheepskin trim, and when worn down, a stylish exposed sheepskin panel. 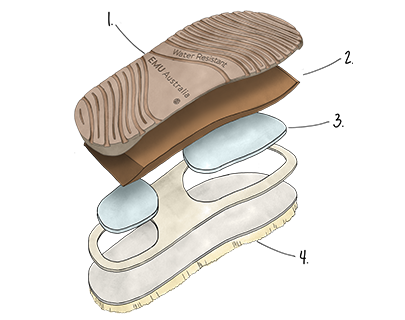 A reinforced heel up ensures a comfortable fit, while the dual layered sole unit delivers cushioning and support.